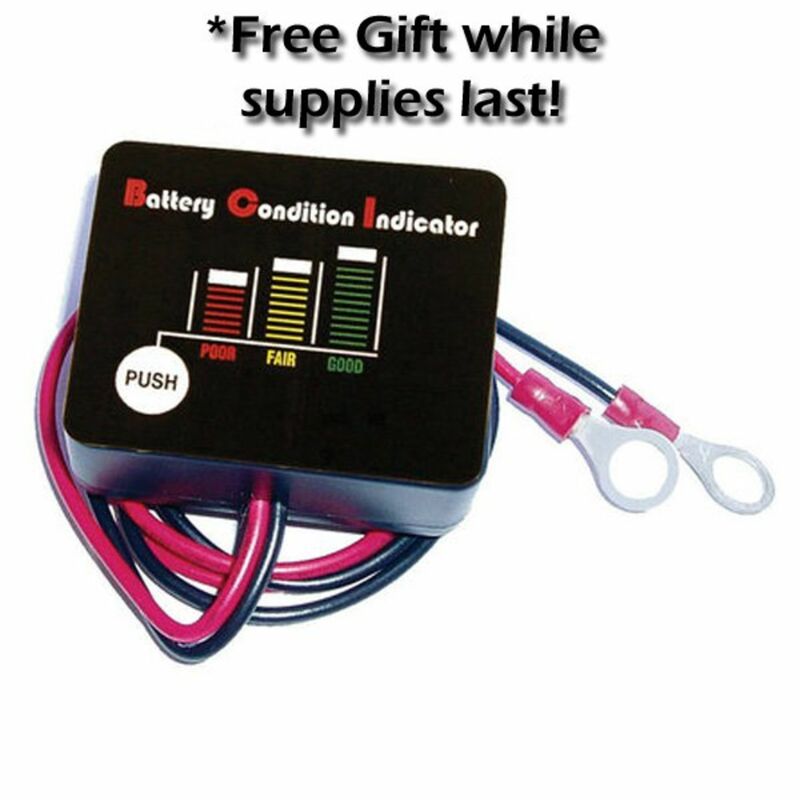 Shipped with a Free Battery Condition Indicator while supplies last! 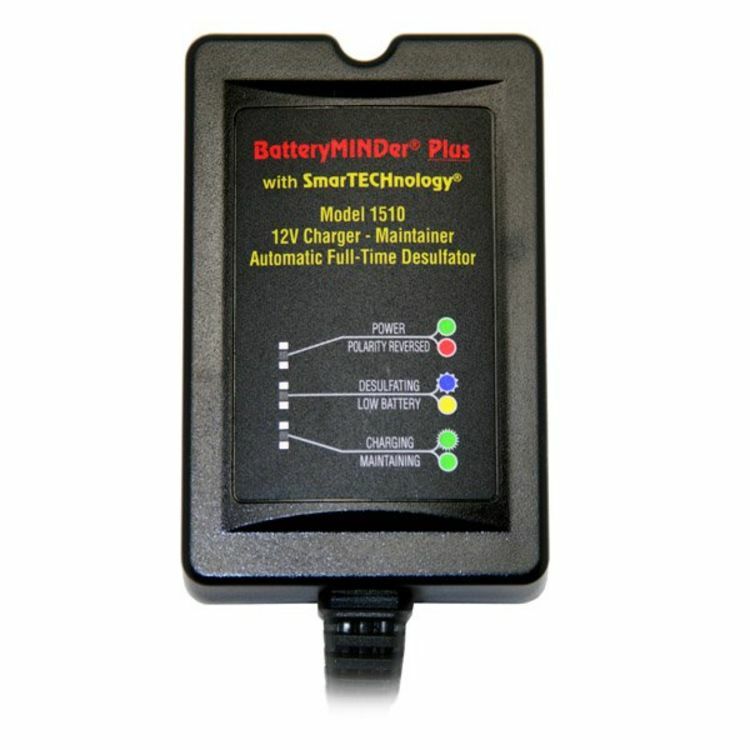 BatteryMINDer® Model 1510 features a SmarTECHnology™ plug 'n run 1.5 Amp battery charger/maintainer with full-time automatic high frequency pulse desulfator (not high voltage)that can help extend a battery's life up to 4 times its normal life. 0°F–130°F operating range. Ideal for charging, maintaining or recovering 12V flooded, sealed, maintenance-free, starter, deep-cycle, Optima brand sealed AGM, and marine batteries. Worldwide 100–240 VAC 50/60 Hz input. FCC compliant and California Energy Commission certified. The unit can maintain up to four 12 Volt batteries at one time when connected in parallel by using SmarTechnology™ Y-Connectors (part# 210AY - Sold Separately). Unit ships with one set of fully-insulated (aircraft quality) 15-Amp protected battery clips, and one set of quick connect-disconnect 15-Amp protected ring terminals. Compatible with Sealed, Flooded (wet cell-filler caps) and AGM. Do you own the BM1510? Please, tell us what you think about it. It helps us provide you with better products. Please note that it may take up to 72 hours for your review to appear. 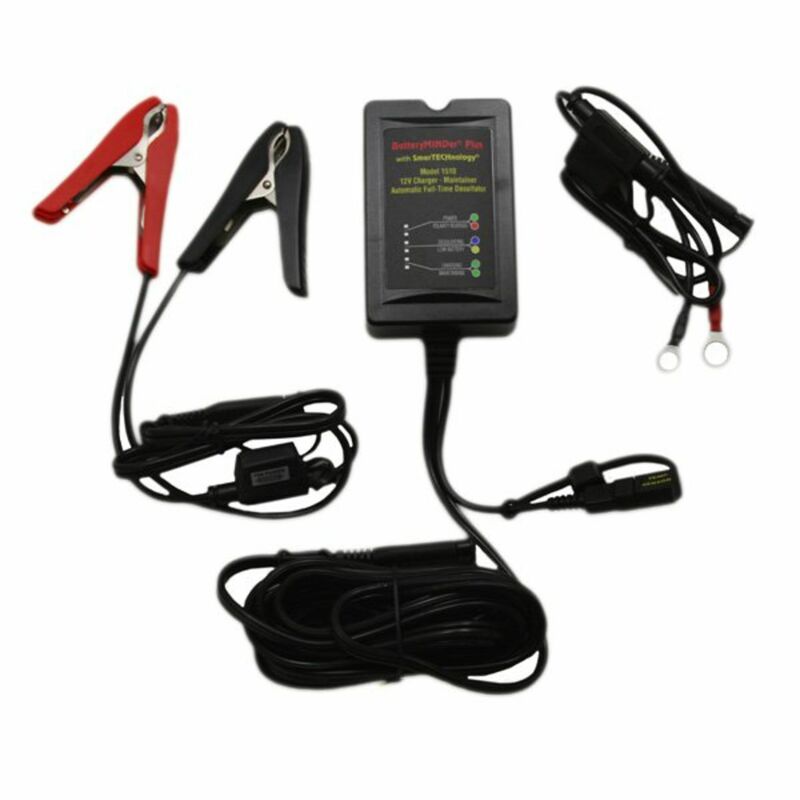 Pros: After buying Motorcycle and truck batteries more than I wanted to for low use vehicles, I purchased two of the 1510 Battery maintainer Desufators. I rotate one on my large 2053cc cruiser and street bike, large JD lawn tractor and one on my Ranger truck. Both now keep fresh batteries and start right up. I still have the BM12248 that was over 150 bucks to charge another battery, but for less than 60 bucks, the 1510's are the way to go. Most of the time in 10-12 hrs, the battery is like new. Can't beat that, and way cheaper than spending 125 buck for a battery every 3 yrs. Pros: I own three (3) of these devices and they keep my riding lawn tractor, quad, and tractor batteries in working order. This is the best money I’ve ever spent for battery maintenance items.